The Take A Stitch Tuesday stitch for week 11 was the Barred Chain Stitch and Alternating Barred Chain Stitch. I struggled with this stitch but looking at others examples it looks worth another try. On the forth quarter of my Block for the Crazy Quilt Journal Project I used the Barred Chain Stitch and the Alternating Barred Chain Stitch. 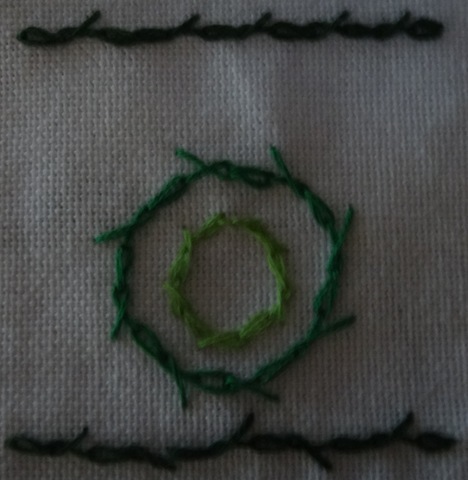 The running stitch and the couching stitch were also used. 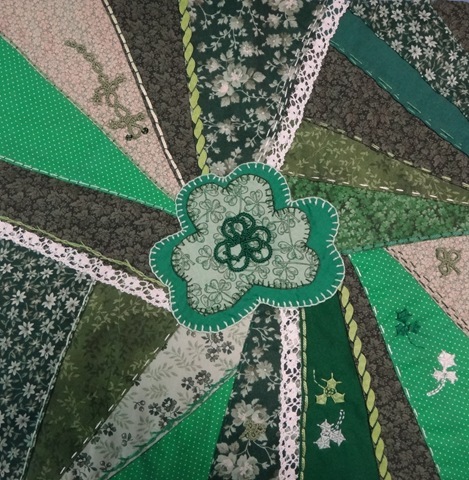 I added another piece of lace and finished the center of the Block with a shamrock applique buttonholed stitched and topped by a tatted shamrock. 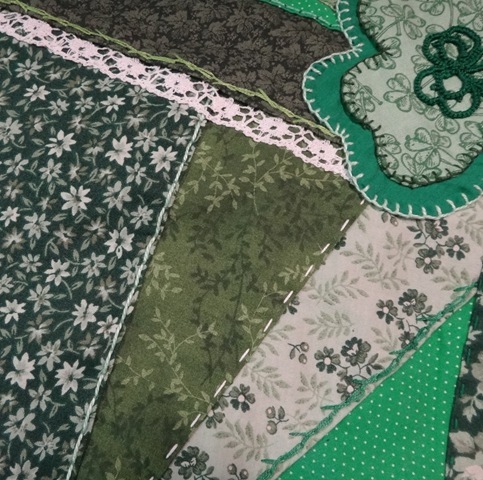 So my MARCH CRAZY QUILT JOURNAL PROJECT block is completed! 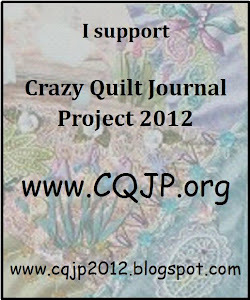 This entry was posted in Alternating barred stitch, applique, Barred chain stitch, CQJP, TAST. Bookmark the permalink.